I often play LAN games with my friends. 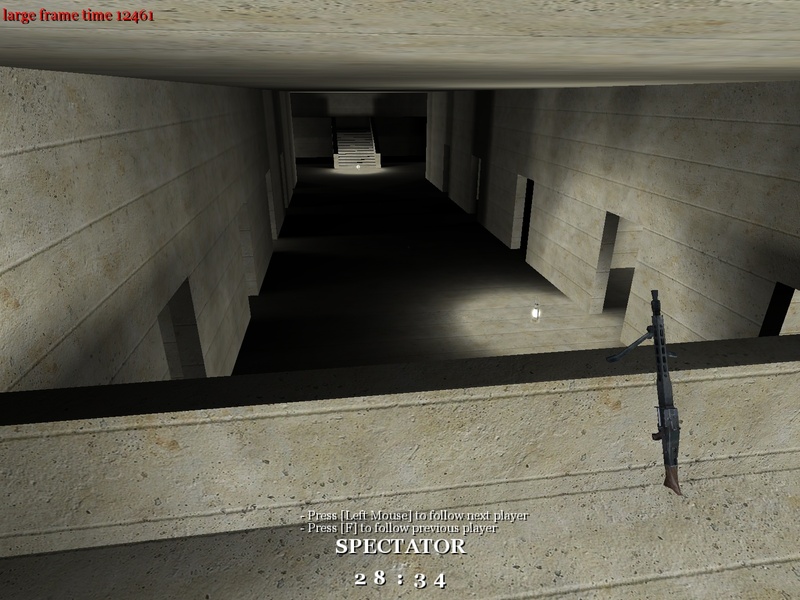 One game we often play is Call of Duty United Offensive. 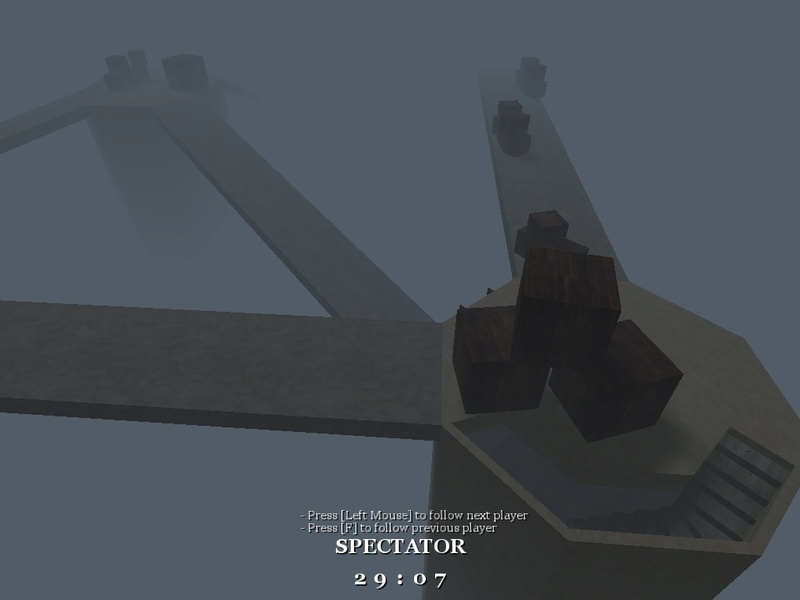 Although this game is a bit old now, the multi-player part never gets boring. 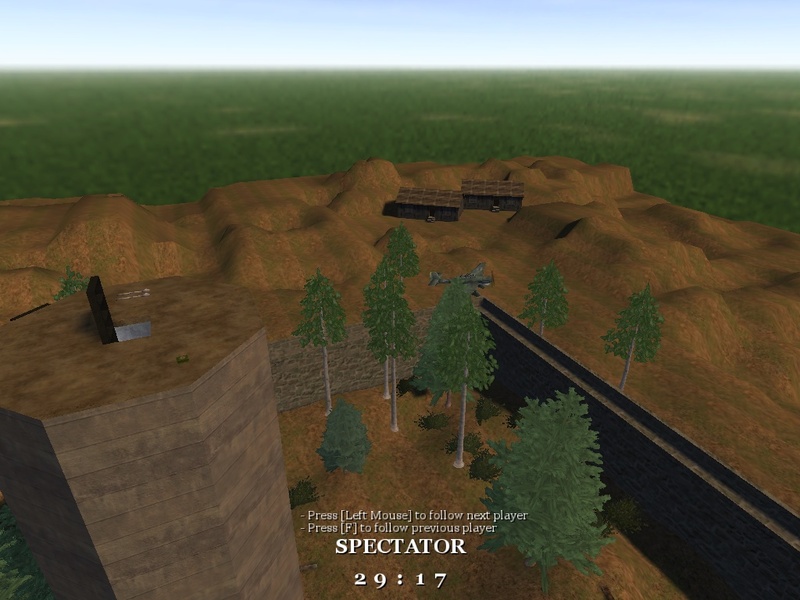 After we had tried out every map we could find, I decided to try creating my own. 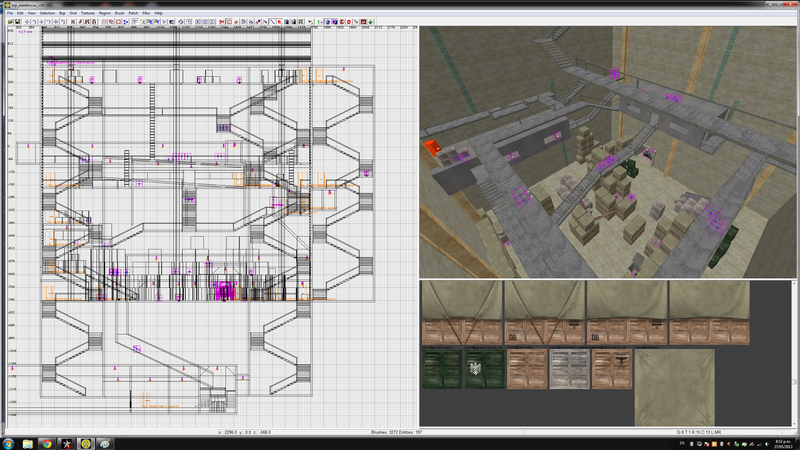 It was a little tricky getting started, but once I got the hang of it I found map building to be quite addictive. Here are most of the maps I created. There is a link at the bottom to download them all. 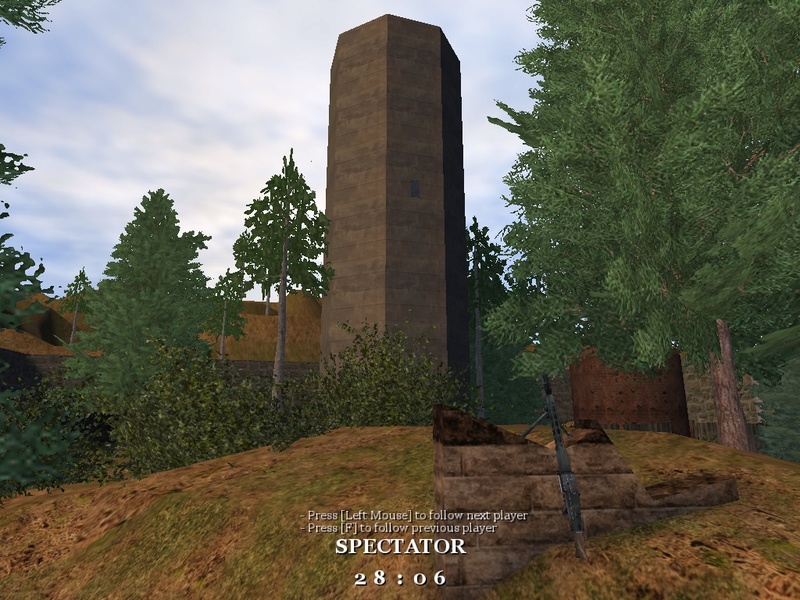 Garden Tower was the first map I created. 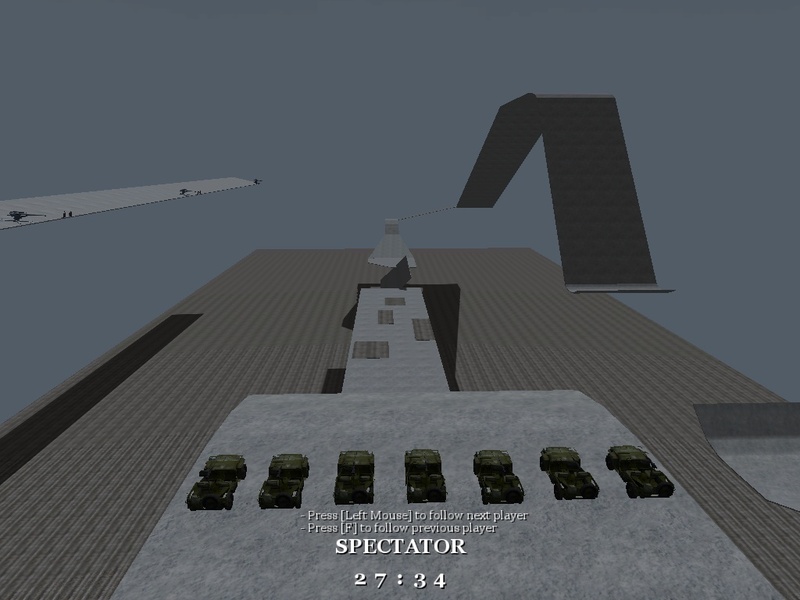 You have a tower with grenades and bazookas at the top. There are two ways to get up, with a spiral staircase on the inside and a ladder on the outside. 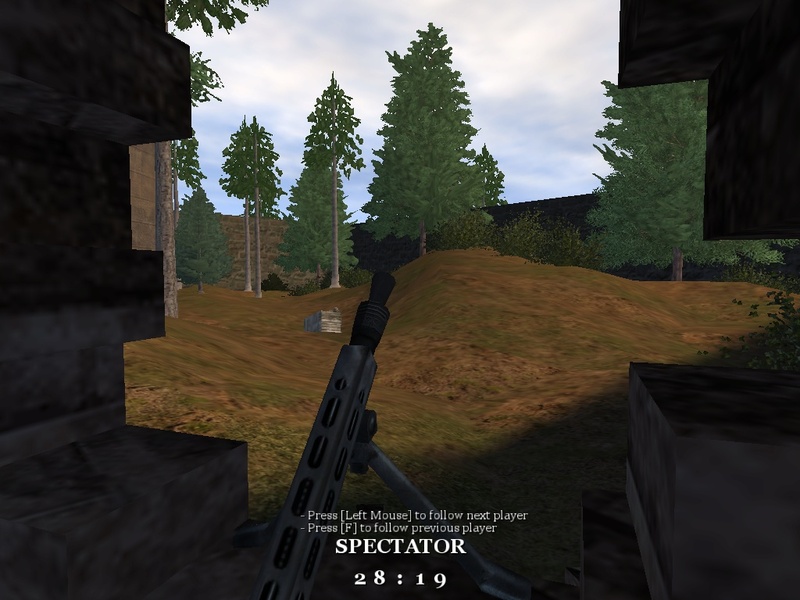 There are plenty of trees and bushes which provide for good cover, and two mounted machine guns, with one able to shoot anyone at the top of the tower. There is also a tree you can hide in and sniper from. At the top of the tower you can look out over the wall. This is a cut down version of garden tower, and as the name suggests it just consists of 4 walls with a tree in the middle. 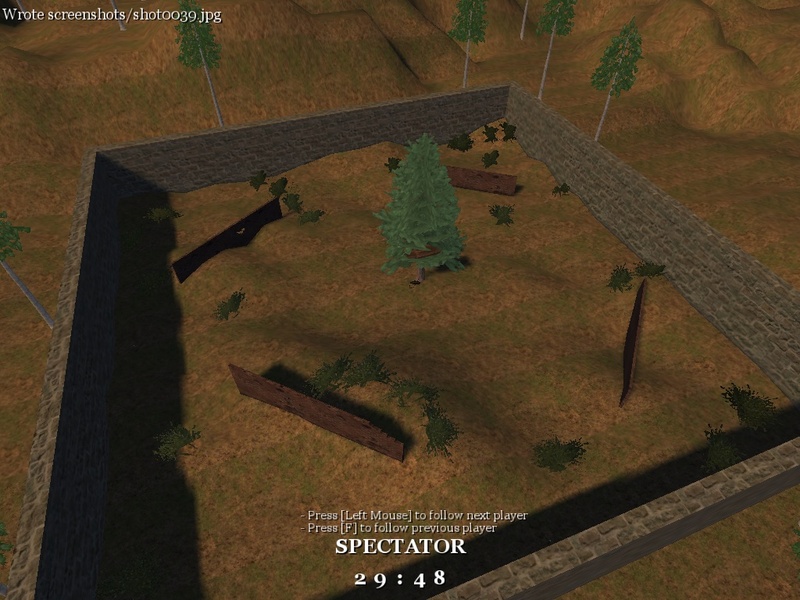 3 of the walls have holes in them for sniping from, and there is a platform in the tree for hiding and sniping from as well. Perfect for just 2 players. 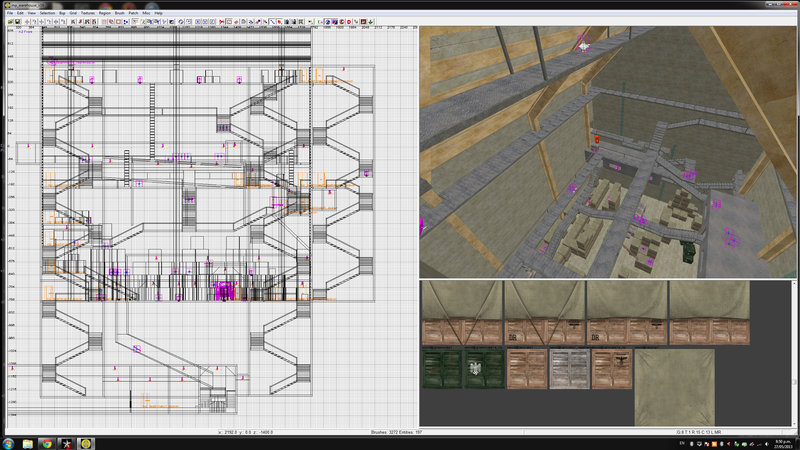 This map definitely took the longest to build, and I ended up making it too big. 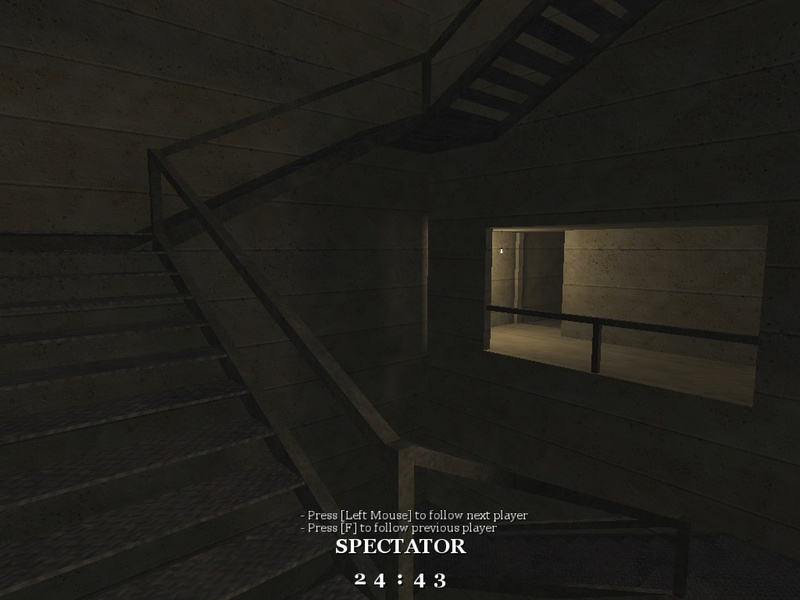 As you can see from the screenshots, the map is quite dark in most places, so plenty of places to hide. 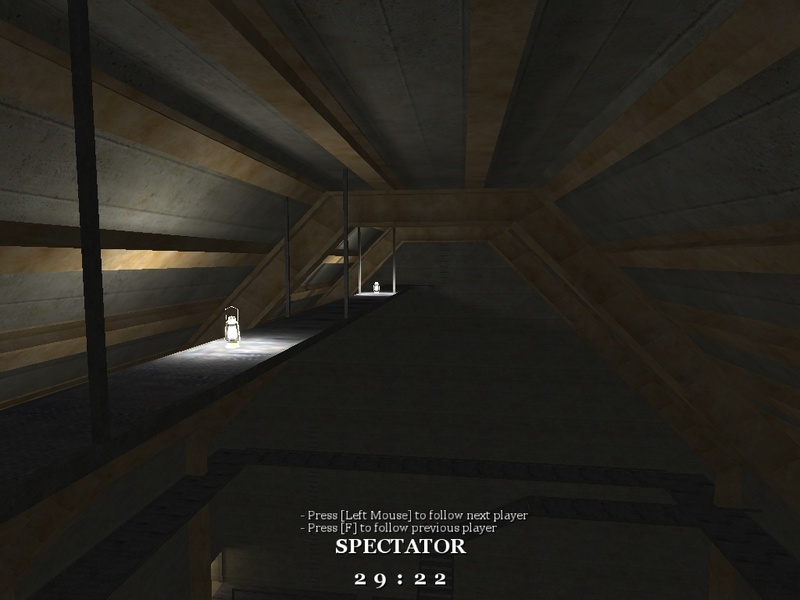 There are stacks of boxes on the floor, with several catwalks overhead at different heights. 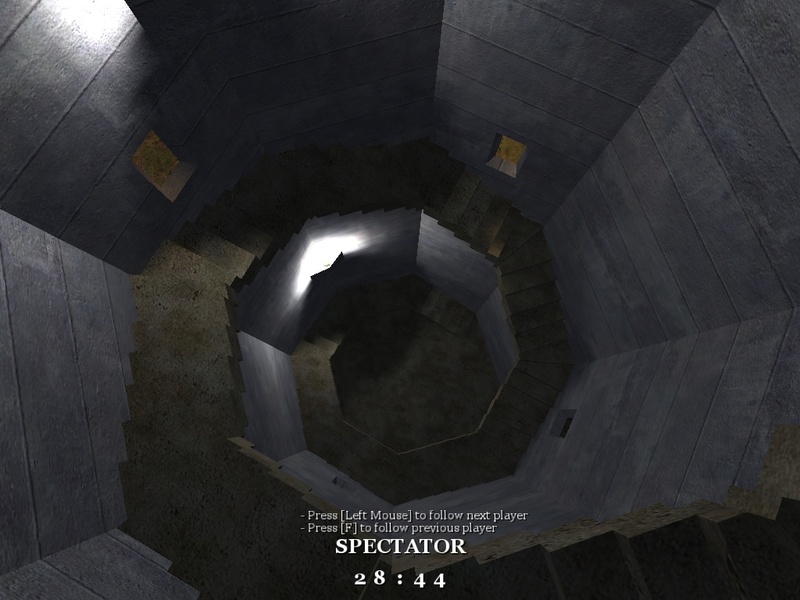 You can reach different levels by climbing ladders or through protected passageways connecting to 3 stairwells in different corners. 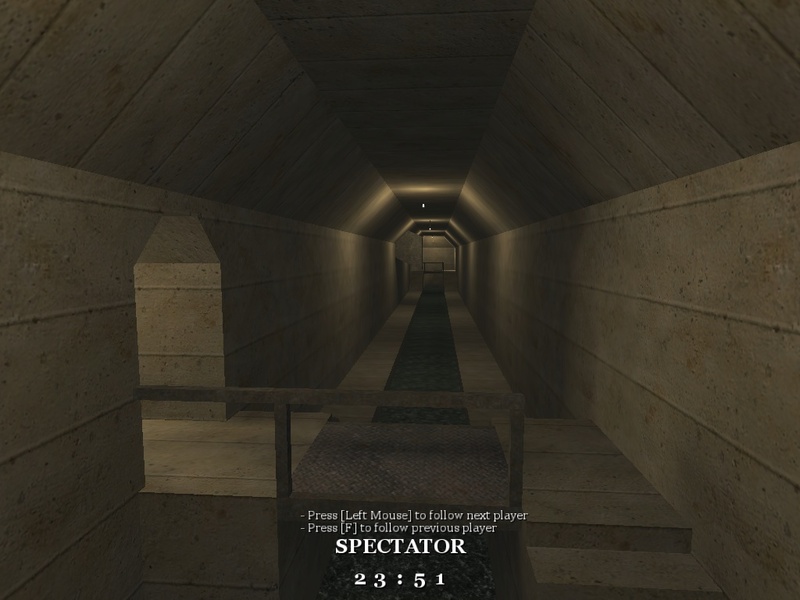 There is also a sewers at the bottom. 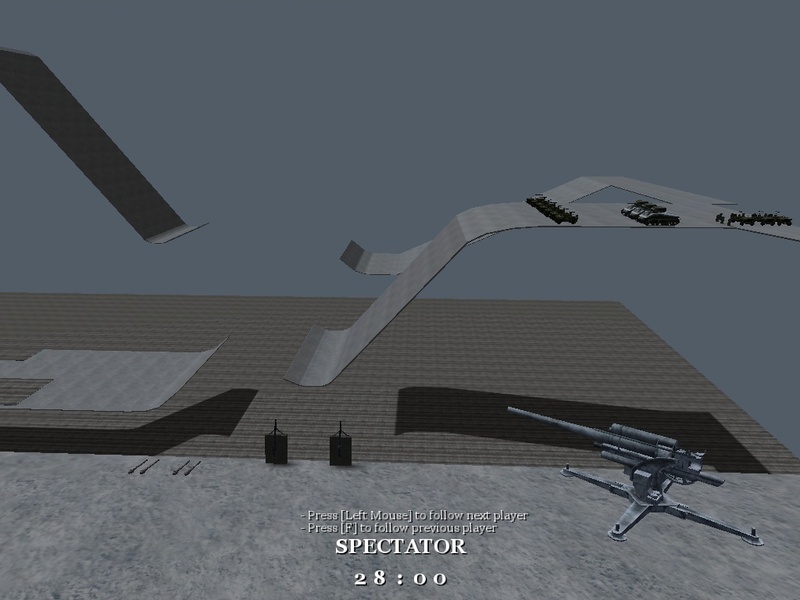 One thing I thought would be fun was to design a racing course for jeeps. 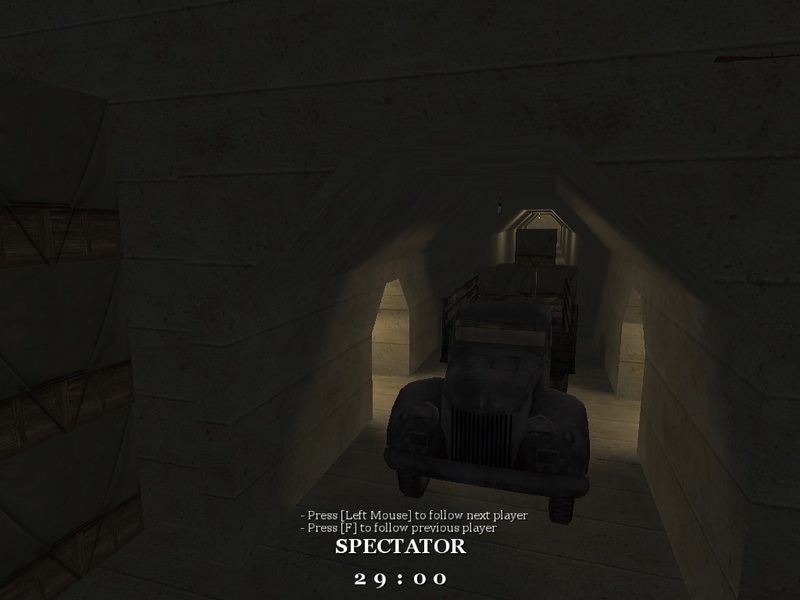 It also provided a great way to test the game’s physics with vehicles (turns out to be not that great). 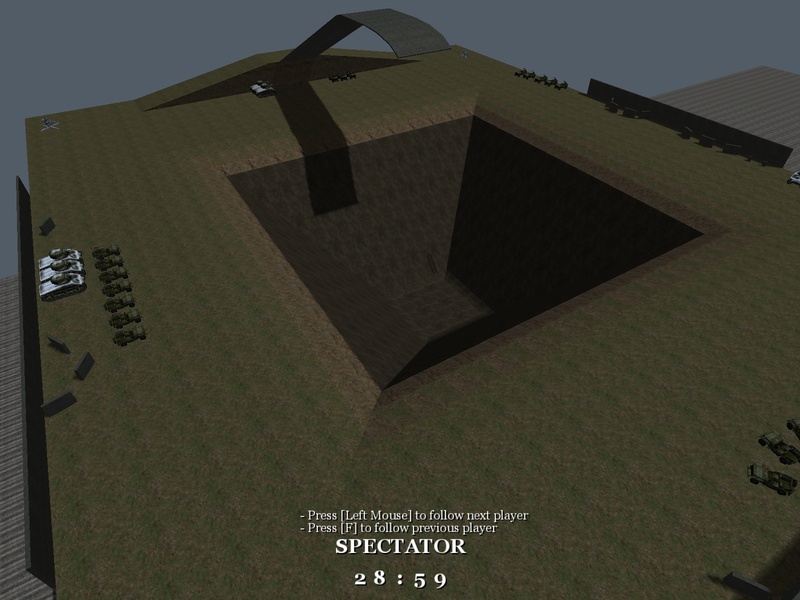 The racing course consists of different slopes with mines and jumps. You can either race your friend in another jeep, or try and shoot them from the side. 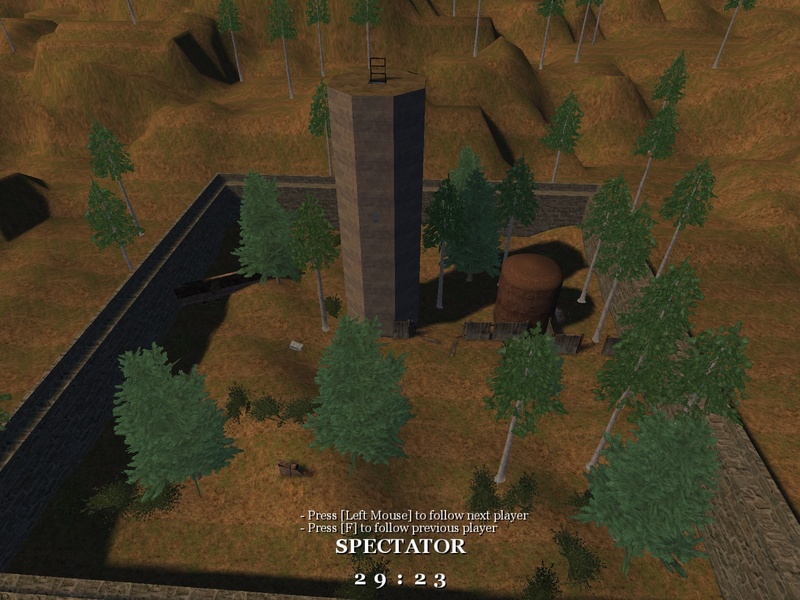 My friend came up with the idea for this map. 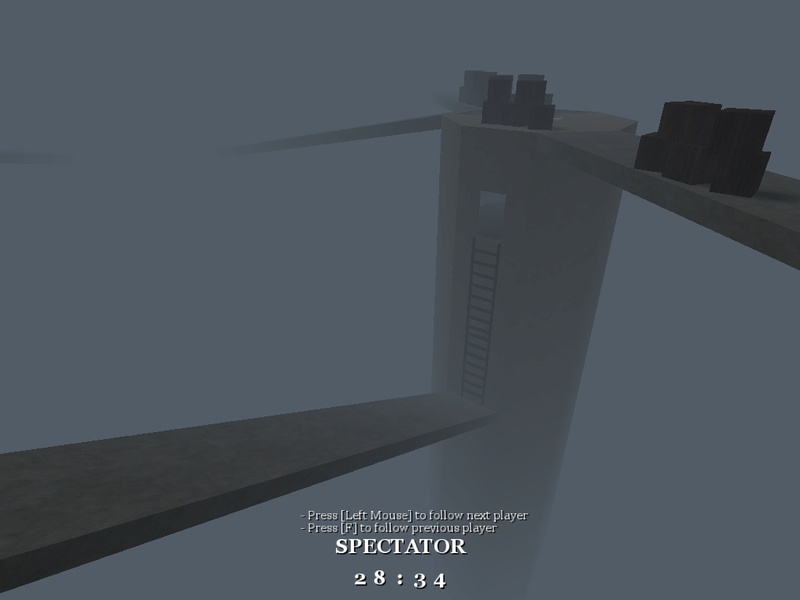 There are several towers linked together and the mist is so think you can only ever see as far as the next tower. 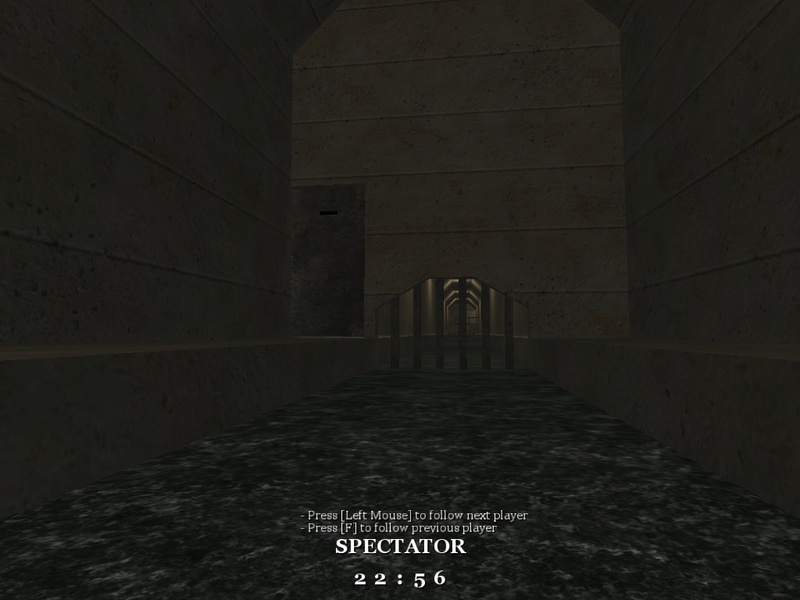 You have a 1 in 3 chance of spawning in the pit, which is not a good place to be. 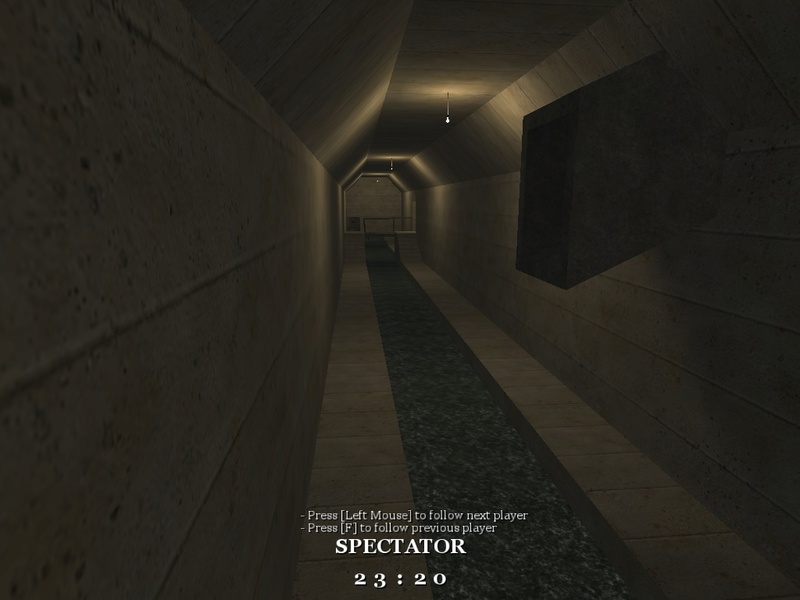 This entry was posted in Gaming and tagged call of duty, call of duty united offensive, custom maps, gaming, level building, map building on May 28, 2013 by Rohin Knight.